When you look at air quality – where do you see the greatest risk for human health? Why do we need additional data? Where do low-cost sensors come in? How reliable are low-cost sensors? How do the photo estimates work? How is the data used? How can we make sense of it? What’s next? What’s the role of citizens in reducing air quality? Interested in learning more? You can view the recorded session here. And: if you have more questions, send them to us. 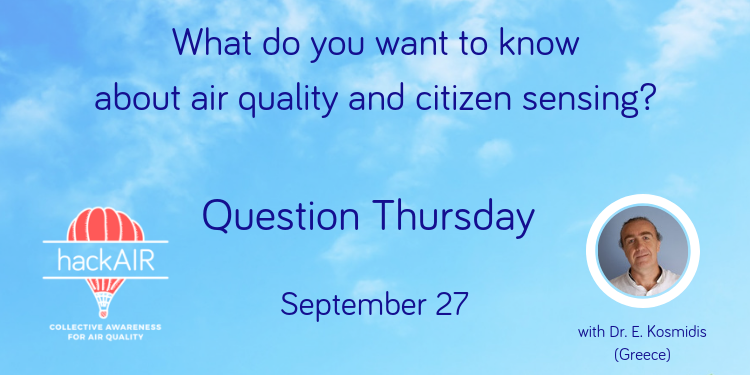 Tweet them @hack_air with #questionthursday.